CLICK HERE FOR FULL PATTERN! Hi there! 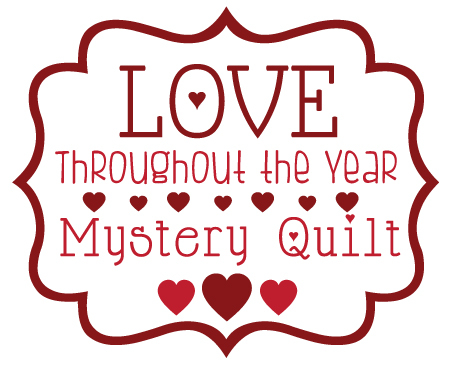 Are you guys ready for another Mystery Quilt Sew Along?!! I AM! I think this one if my favorite to date - and that's saying something because I have LOVED the other two we have done so far! I know you guys are going to love it too! Are you ready for our first block? You will make 12 heart blocks. They measure 5.5" x 5.5"
Ah, how sweet! 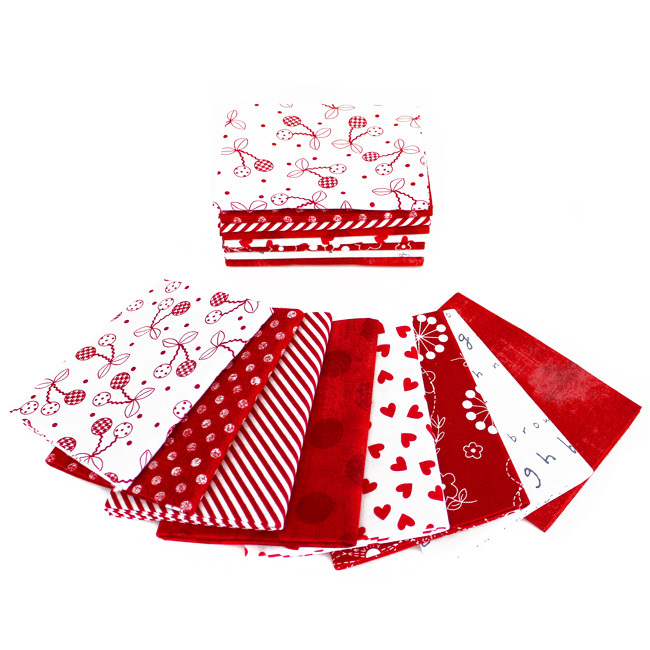 Can I sew along with my own fabrics, without having the kit? 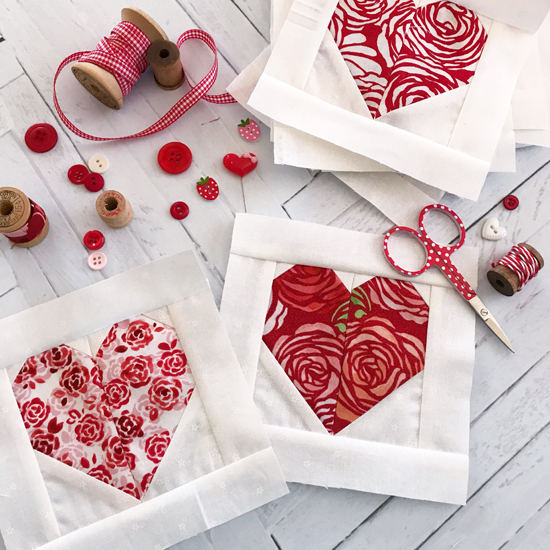 Will the entire quilt be made up of red & white fabrics? Yes, you can sew with your own fabrics! 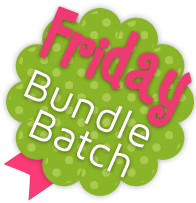 What time should I be checking the blog for next week's blocks? I looked this morning at 3A, 6A, and 9A. Had to wait till after 12noon before I had a chance again...had it been there at 6A, I could have started earlier. 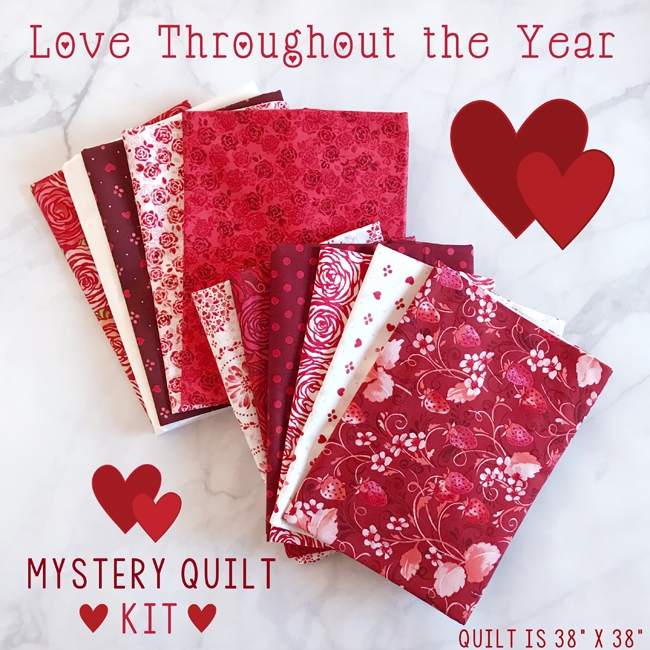 I am using the kit that comes with this Mystery Quilt. When I print out the PDF instructions, the colors for the fabrics in the kit do not print. How will I be able to know which fabric to use unless I am at the computer while sewing the blocks? Is it my computer printer or is anyone else having the same problem with printing the PDF's? We will schedule posts to go live at 9 AM. Occasionally there could be an unpredictable issue that could cause delay. Glad to have you sewing along with me! Lindsey Weight I am cutting out the back ground pieces some are 2 3/16". How do I measure that?? All my rulers are 1/8 segments.???? 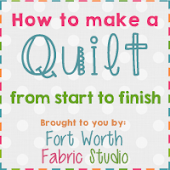 I am not super familiar with quilt as you go, but I would say this quilt may not work well with that method because of the quilt assembly. 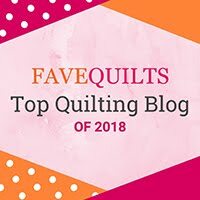 I am sorry I don't have a more direct answer for you - since I can't share they layout of the quilt. 3/16 is in between the 1/8 and 1/4" mark..it is a very small measurement, but with all the piecing involved unfortunately it makes a difference! I do not use a specific ruler, I just place mine between those two measurements and it worked great! I am also having the same problem as snowisro. Will week 3 be posted today?